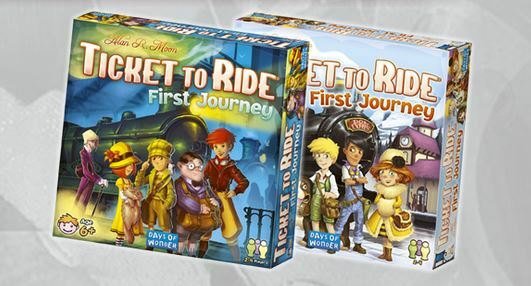 Although rules are simplified and game objectives made easier, the game remains faithful to what has made Ticket to Ride a success: players race to complete their tickets by capturing routes on the board. 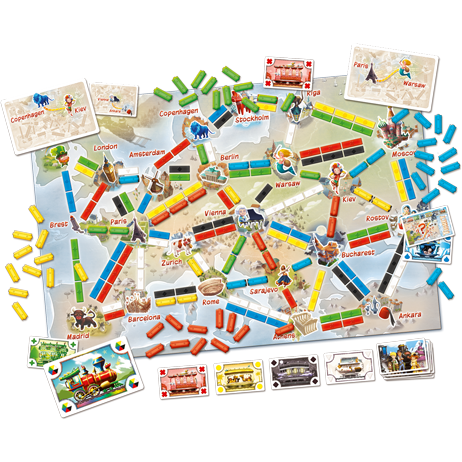 The imaginative art on the board and on the ticket cards makes it easy to find cities for even the youngest players, who will be delighted to build their own networks with the big plastic train pieces included in the game. Expect to see the game on shelves in March/April.